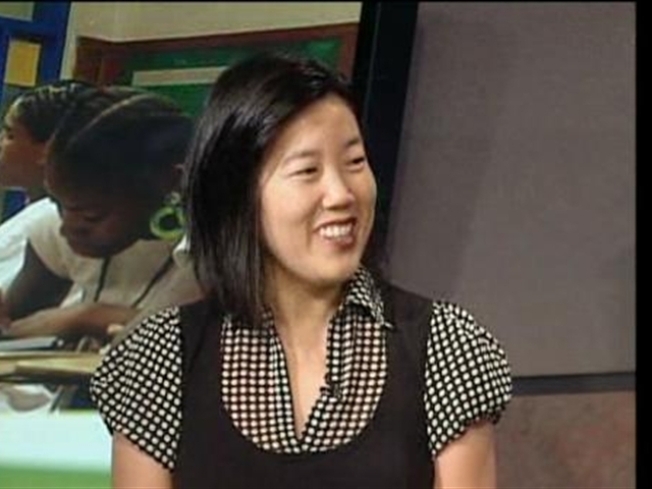 D.C. Schools Chancellor Michelle Rhee has turned down her bonus for this year. It's the second year in a row that she's passed on the extra dough, according to D.C. Wire's Bill Turque. Under her contract, Rhee is eligible for an annual "performance incentive bonus" of up to ten percent of her $275,000 base salary. But she told Turque in an e-mail that she doesn't "think it's right to take a bonus when the city and district are in the financial situation we face." By refusing the money, Rhee definitely earns some political points in a time of tightening budgets, but she also avoids a potentially messy debate about whether or not her performance actually deserves a bonus, DCist notes. It also puts her a notch above those on the District's payroll that did accept their bonuses. In addition, she has made some improvements to the DC schools system. For example, test scores, including the fourth and eighth grade math performance on the National Assessment of Educational Progress, are up, Turque reports. But her handling of this fall's budget cuts and subsequent teacher layoffs, as well as some personal issues, haven't done much to please her critics. Either way, Rhee is still sitting pretty. Under her contract, if she chooses to resign -- or even if the mayor fires her for any reasons other than "criminal conduct," "gross dereliction of duty," or "gross misconduct," she can still get up to six months of severance pay. Not a bad thing to have under one's stocking.